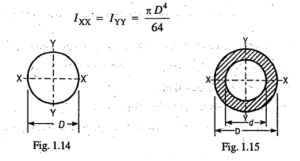 Moment of Inertia – It may be defined as the moment of the moment i.e. 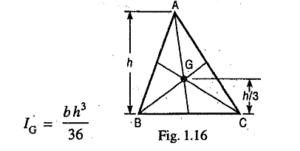 second moment of mass or area of a body. 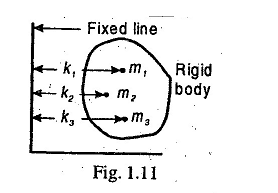 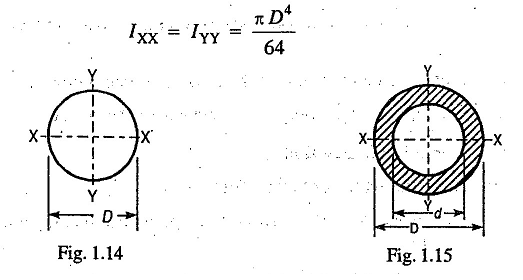 It is usually denoted by I.
where k is the radius of gyration. It is defined as the distance from a given reference where the whole mass or area of the body is assumed to be concentrated to give the same value of I.
is expressed in m4 or mm4.